Well that escalated quickly! Amidst one of the best tours of their career, Phish absolutely annihilated Randall’s Island in New York City this last weekend. Weighted heavily towards the second two shows, the three-night stand shattered even the loftiest musical expectations and set the bar inconceivably high for the rest of Summer Tour. The band is improvising with a level of patience an audacity unseen in this era, and the results have been staggering. Not only is Phish weaving individual excursions into the infinite, but they are finally crafting flowing, contoured second sets on a consistent basis. Their willingness to take long form risks and to push through sections where, in recent years they would have moved on, has paid off in droves. Jams are reaching depths we haven’t seen in this era and covering ludicrous amounts of musical ground. Though enjoyable as it was to watch Phish recreate themselves over their first five years back, there always seemed to be a sense of nostalgia involved. To many, this era seemed to be a way to relive the glory days. But now more than ever, any thoughts of the past have been wiped away by a Summer onslaught on original and innovative music. 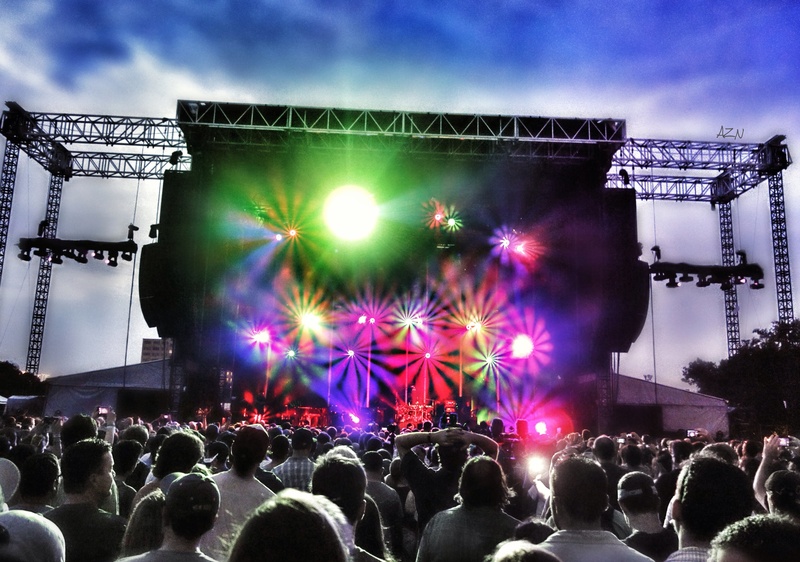 It’s 2014 and Phish is peaking again. But let’s cut through the chase—Sunday’s show was something special. The weekend built upon itself, one night after another, and peaked with the best two-set Phish show in quite some time. Each frame featured shrewd song selections, impeccable flow, and absolute lock-step jamming from “Sand” to “Slave.” And in between we heard some of the most complex improvisation the band has churned out in a hot minute, and most often the catalyst was Jon Fishman. With a stripped down kit this summer, Fish has been an absolute maestro on the skins, and there is no better illustration that Sunday’s second set. Listen to the morphing feels of “Chalk Dust” as he guides the band through a far out excursion in astral jazz. Playing with a cymbal-heavy feel, and a sense of light, airy syncopation, Fish pushed the music into a jazz-like abstraction. Though his work shone throughout the jam (and set), things get really interesting in the piece’s final section which moves into a festival, middle-of-the-night type ambiance. The journey to get to this place, however, is nothing short of mind numbing. After a glorious, early peak to this jam, the band just continued moving outwards, section by section, but contrary to the Mann’s version, the ideas in Randall’s “Chalk Dust” jams were fully explored and themes were developed rather than touched upon. This was a magnificent Phish jam of the most virtuoso degree—almost a half-hour of dense, original improvisation. This was the absolute business. And when Phish is feeling IT like this, you knew there was more magic just around the corner. Taking this momentum and diving into “Light,” the band was clearly enjoying the wide-open musical space and chose another springboard from which to get there. And once again, the guys spun a wove an original tale that landed in an intricate Mind Left Body jam. The astounding thing about Phish right now is just how diverse their jamming is. In eras past, they have been stylistically focused by tour, but in right now their jams differ so much from one to another that its incredible the same band is playing them. But they are, and Phish concerts are now reaching places we’ve dreamt they’d get to since the band’s return. The guys capped the night with a patient version of “Slave to the Traffic Light,” but the story of this show was hardly limited to the second set. Phish came out firing on Sunday night, riding undeniable momentum from a stellar Saturday performance. How ‘bout “Sand,” “Winterqueen,” and a “Reba” with extra mustard to start the show, a grinding “Runaway Jim” and a totally bent “Split” all before setbreak? It all happened and was surrounded by tight, punchy renditions of other Phish classics. This was an exquisite two-set performance that never relented for a moment and reminded us that, in fact, the best is yet to come. This entry was posted	on Tuesday, July 15th, 2014 at 2:21 pm	and is filed under Uncategorized. You can follow any responses to this entry through the RSS 2.0 feed. Both comments and pings are currently closed. Bummer about the show tonight. Glad I skipped it. DTE will bring back the jams. I’m certain of it. Wow. Ive Neva read the Baby’s Mouth, but that itallics clip I just read from MiA’s post was all I’ll ever need. Sounds like the kid needs to ground out and/or seek some help. ^unsporting sure, but I bet funny. Kinda wish you’d just go for it. Think your safe here. ^perhaps too mean hearted, but my previous post is at the bottom of the last page, and is sympathetic. Again, sounds like the kid needs to ground out and perhaps seek help. I love how a show with a 20min Disease is seen as a dud nowadays. A couple years ago, this would’ve been a huge standout show for that jam alone. Hmm well it’s not even that I don’t want to be unsporting, it’s just not good karma to try to sink a lost sailor. I’m glad I wasn’t writing my thoughts for everyone to read when I was going through my own expansion and disintegration phase. A necessary step for many but not without its pitfalls. Hope he finds a soft landing. Sounds like he could use one. That came across a bit like concern trolling…hard to talk about without coming off snarky…. The babysmouth dude is probably fine. Nothing more obnoxious in that blog post than in the past. Sure, there’s more of it but the trend is flat on his wackadoo. Shedrack wasn’t goofing. It’s kinda dope. Twenty minutes is the new twelve minutes I guess? Ok, dude in the room next door FINALLY turned off his insanely loud post show beverages soundtrack (at one point people were knocking on both walls and his door but you gotta respect his dedication to his lady friend), so I am out. emotionally crushed. not steamroller crushed. #really out now #kkkkenccccccometokkkkillme! For me the Mind Light Body Peak will go down as one of the best jams I have seen. I would have to go back to Miami 03 or Cypress. I haven’t seen them phish MLB since 6/14/95. And this was fully realized with a huge peak. Even more so then the UIC (94? )(wasn’t there but known as the best phish MLB) Think I saw it 10-30-98 without realizing it. With my journey starting with Jerry in 89. MLB is the greatest notes that can be played. It puts a clear connection between the two bands. 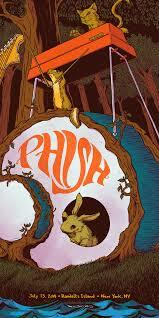 Then to play tweezer, my fav phish tune, like that. I don’t care if they play miami for NY run and I don’t go until summer 15. I’m good. 2 songs I have seen Phish and the Grateful dead play are. @ Selector J! Dude, I totally relate. It turns out there is also a ‘Harry & The Hitmen’ in Australia. Found a poster of theirs with a pic of them (they’ve got a decade or two age wise on us) and used it for one of our shows. Some hilarity ensued. Put your wing bib on. Cause it feels good. Not sure if this was posted. Page/Trey interview from backstage at recent Letterman appearence. I saw that last night on mobile thought about sharing here could not. Thanks Spasm, that was really funny. Trey has so much nervous energy in front of the camera, seems like Page is tapping his shoe thinking ‘chill out dude’..
Trey admits that for a lot of people the Halloween Wingsuit set was a big disappointment. And he thanks everyone profusely for their patience. He explains that it was really good for the band and he hopes people can understand. is there a Major League Baseball quote in 10.30.98? Powered by WordPress v 5.1.1. Page in 1.036 seconds.